*Disclaimer - I received the product in this post from Fairhaven Health in order to facilitate this review for my readers. My boss has a 6 month old and was really glad that I was able to get this product to review for her to use. My boss had her baby 6 months ago and is still nursing / pumping too as she works full time in a daycare center. She said that this would come in handy for her to use at times. 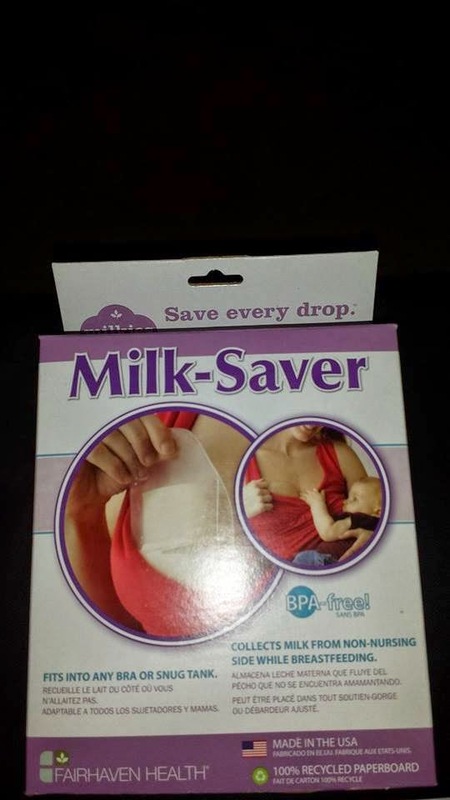 What the Milk Saver does is just that, it saves milk that may leak while you're nursing. It seems very easy to use as all you need to do is slip it into your bra on the non-nursing side of course before you start to nurse. The neat thing about the Milk Saver is that it will catch any milk that has leaked from your milk letting down. You're able to save this milk to use anytime you need it. It comes with a carrying case that also can serve as a stand for storing the breastmilk. The price of this Milk Saver is $27.95 for 1.